‘PLAIN JANE’ DROP CAMP – Our “Plain Jane” drop is just as it sounds! You arrive at our Lodge with all necessary components to set up your own camp and stay for your decided duration. 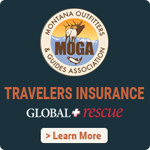 We pack you and all of your gear into a predetermined campsite on a predetermined date, drop you and your gear off, and return on the scheduled pick-up date to return you, your gear, and your game to the Lodge. These drops can be seven to ten days, based on your party’s discretion. Dates and specific location must be decided and agreed on at the time of reservation. ‘TRADITIONAL’ DROP CAMP – Arrive at our Lodge with your gear and food and we’ll pack you into our drop campsite. The camp will be set and ready to for your use upon arrival. There will be no guides or horses in the drop camp during the duration of your stay. We will be in to check on your party throughout the extent. On the day of pickup, we will arrive to pack you and your game out. These drops can be seven to ten days, based on your party’s discretion. Dates must be decided and agreed on at the time of booking. ‘SEMI-DELUXE’ DROP CAMP – Hunt out of one of our main camps on the Bob Marshal Wilderness complex enjoying all of the 1st class amenities. 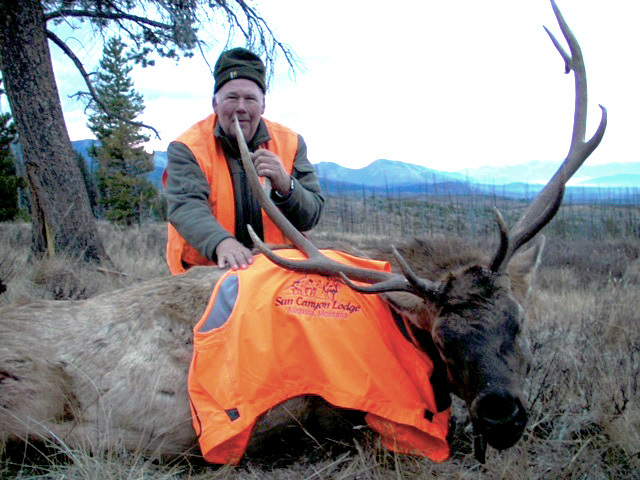 Enjoy seven days of the finest elk hunting in the state. Accommodations provided for you: cot and wood stove in wall tent, cook and meals provided in separate mess tent, and wrangler (for entire party). NO guide and/or stock provided except for the travel day in and out of camp. Check website for each camps’ specific dates. **All drop camp options are to be specifically discussed and scheduled individually. Call for more information or if you have any further questions. **Cabin rentals at the Lodge are additional to the above drop camp fee ($50 per person/per night). Please call to make reservations prior to arrival. **A 50% non-refundable deposit is requested from the entire party at the time of booking. The remaining balance is due upon arrival.